Angie’s List, a subscription-based directory of reviews for services and service providers, announced Thursday the close of an additional $2.5 million round of funding led by Saints capital, adding to the $22.5 million raised last month to bring the company’s total financing for 2010 to $25 million. The Indianapolis-based consumer review site will use the funds to expand its Health and Wellness feature (which allows users to research and review healthcare providers) as well as its group coupon offering, The Big Deal. Offering group deals for Angie’s List subscribers in over 30 local markets, Angie’s List is one of many companies to jump aboard the group coupon bandwagon, and so far the response has been quite positive. “Response has been great,” said Cheryl Reed, director of communications for Angie’s List, via email. “At last count, we’d issued more than 700 deals in about 30 markets.” The company plans to roll out its group deals program to more than 50 markets by the end of the year, which this latest round of funds will go to support. Launched in 1995, Angie’s List began as a monthly magazine and telephone call-in service that offered information on local services such as landscaping, home repair, and car maintenance. Today, it is better known as Angieslist.com, a site that charges users by the month or year to access hundreds of reviews on local service providers. The Health and Wellness program focuses specifically on healthcare providers, which stirred up some controversy in the past, as doctors began making patients sign contracts promising not to post a negative review on consumer review sites like Angie’s List. Angie’s List lashed back at such doctors by promising to flag those who maintained such policies. While Angie’s List charges users subscription fees to access the site, other consumer review sites like Yelp allow Web users to access and post reviews free of charge. In a previous interview with Vator News, Cheryl Reed noted that Angie’s List offers more than just reviews. Furthermore, Angie’s List has policies that other consumer review sites don’t. For example, Angie’s List does not allow anonymous reviews, thereby ensuring accountability and accuracy. 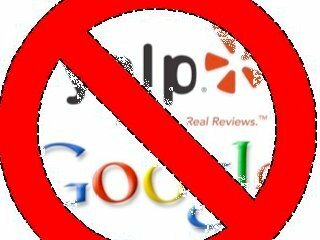 Additionally, the company does not allow businesses to review themselves or pay customers to review them.